Byonik is the world’s first laser which rejuvenates, repairs and protects your skin from inside the skin cells and is used in combination with hyaluronic acid and antioxidants to help improve numerous skin concerns, for all skin types and colours. Guided by your own pulse, this revolutionary cold laser re-energises and repairs your skin cells, collagen and elastin to preserve youthfulness; improve signs of ageing skin; reduce redness; promote skin healing; reduce inflammation and deeply hydrate the skin from within the skin cells, not just around them. 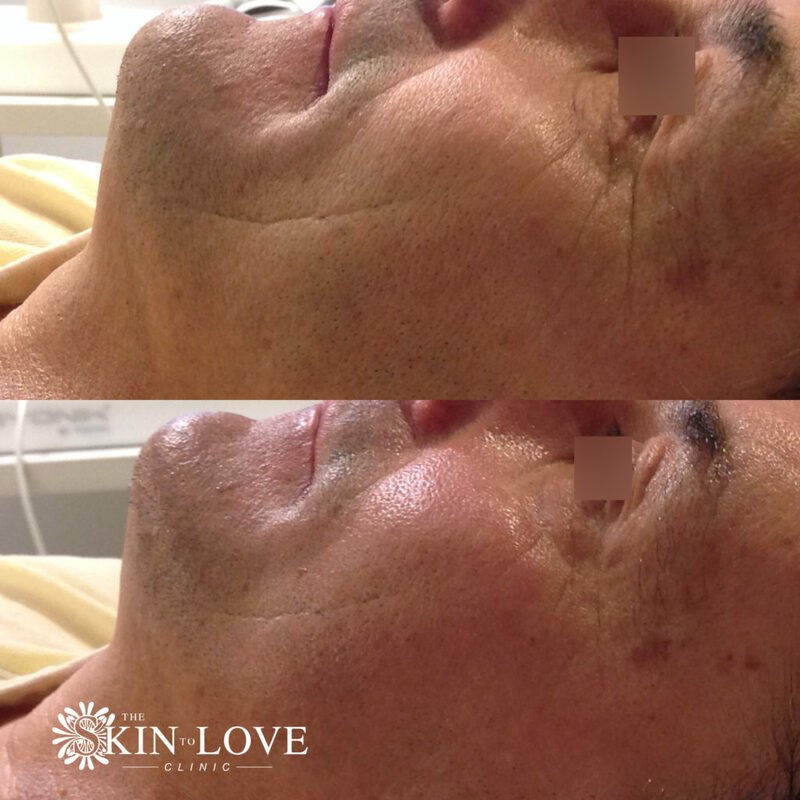 We are the 3rd clinic in the UK to offer this treatment, book your consultation today! Telomeres are the end parts of our DNA whose job it is to protect the cell. Time and other factors, such as stress, shorten your telomeres and eventually, the cell dies as a result. Each time a skin cell dies it can contribute to our skin ageing and wrinkles, skin laxity and other signs of ageing. The Byonik treatment protects and preserves your telomeres, prolonging the life of, and improving the health of your skin cells. The result? A renewed youthful-look and healthy skin, for longer. • improves lymphatic drainage to decongest your skin, reduce puffiness and improving general skin health. Elastin plays a major role in your skin’s tightness. As time passes, salts, fats, amino acids and calcium accumulate around the elastin fibres, tethering them, so that their ability to create tension and tightness in the skin is reduced; the result is wrinkling and sagging skin. 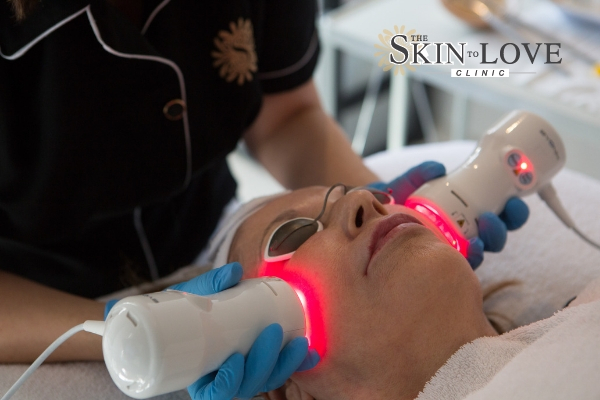 The Byonik laser energy releases your elastin fibres, causing a lifting effect in the treated skin. Also known as “the key to the fountain of youth”, Hyaluronic Acid (HA) is produced naturally by your body. It fixes the moisture, plumpness, structure and elasticity of your skin. At 40 years old your skin contains only 60% of your original HA levels and only 10% when you’re 60 years old; this degradation of your HA levels is one of the key players invisible skin ageing. During your treatment, the Byonik technology allows the HA molecules to completely pass into your skin cells. This deeply hydrates your skin, helps to support healthy, youthful cell function and improves your collagen production. This ability to pass into, and not just surround, the skin cell is something only a very select few molecules can do, such as the molecules in some topical medication. • Allows the hyaluronic acid used during treatment to be retained in your skin for up to four weeks. • Catch free radicals to help protect your DNA. The antioxidants used during your Byonik treatment has an antioxidative potential which is nearly 5 times more powerful than that of red wine and nearly 3 times that of green tea. • Soothes and protects your skin barrier. • Improves the moisture, firmness, elasticity and smoothness of your skin. • Visibly improves the depth of your wrinkles. • improves the condition of maturing skin. 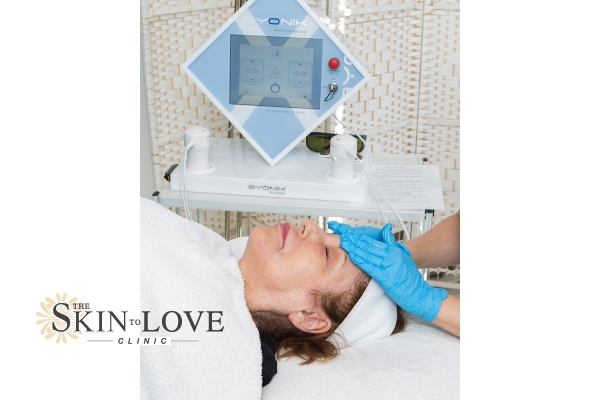 The laser energy is delivered to your skin with the beat of your heart. This is important because your skin cells have been shown to be more receptive to the osmosis process just before your heart beats. This technology, developed in conjunction with NASA scientists, means that your cells absorb the hyaluronic acid and antioxidants used during the treatment like a sponge. The result? Deeply hydrated, healthy and plump skin cells. • You are seeing natural signs of ageing, including lines, wrinkles, crepey and dull skin. • You would like to maintain healthy skin, youthful-looking skin and improve your skin’s overall appearance. • You would like to soften the appearance of scarring. • You would like to improve background redness. • You would like to redefine your features and improve your skins plumpness. • You would like to improve the health and overall appearance, tone and texture of your skin. • You would like to improve the appearance of melasma. Will I need to take time off work after having this treatment? No, there is no discomfort experienced during treatment and no ‘down-time’ needed following Byonik treatment. Usual activities can be resumed immediately. How frequently can I have repeat treatments? The Byonik treatment can be had daily if an intense course is recommended, however, most patients have a longer gap between sessions. This will be discussed with you during your consultation and designed to suit your needs. Byonik has a great safety profile and any damage to the skin due to burns is not possible as it uses cold laser technology. There are no known side effects. I’m looking for a dramatic correction for my signs of ageing, is this treatment right for me? We will be able to give you specific advice during your consultation, however, this treatment can help if you have very sun damaged, crepey skin and/or have other advanced signs of ageing such as deep wrinkles. It is not a substitute for surgical treatments. Byonik can be used in combination with other treatments such as Thermage CPT, Regenlite, Wrinkle Relaxing Injections, Dermal Fillers and the Thread Lift treatment; it can even be had on the same day as many of these treatments. You may need more than one treatment of Byonik to achieve your results. You and your practitioner will create a treatment plan which may include using this treatment alongside other treatments. Am I too young to have Byonik? There is no reason why those in their 20’s and 30’s onwards shouldn’t consider this treatment as a preventative treatment and to maintain and improve healthy skin. Those who have had a lot of sun exposure and who have dry, dehydrated skin may find this treatment especially beneficial. There may be alternative treatments that may also suitable for you depending on your concerns and skin condition, such as the Clear + Brilliant laser, which is by the makers of Fraxel Dual and considered to be the ‘baby Fraxel’ treatment. This can be discussed fully at your consultation. Dependent on your concern. You can have a single session for a special occasion, but a course is recommended for greater, longer lasting results. This will be assessed and discussed with you prior to treatment. Approximately 1 hour for a full-face treatment. Dependent on your concerns. With concerns such as wrinkles and dull skin we would usually expect to see an improvement in your skin immediately after the treatment. Months to years dependent on concern treated and number of treatment sessions. 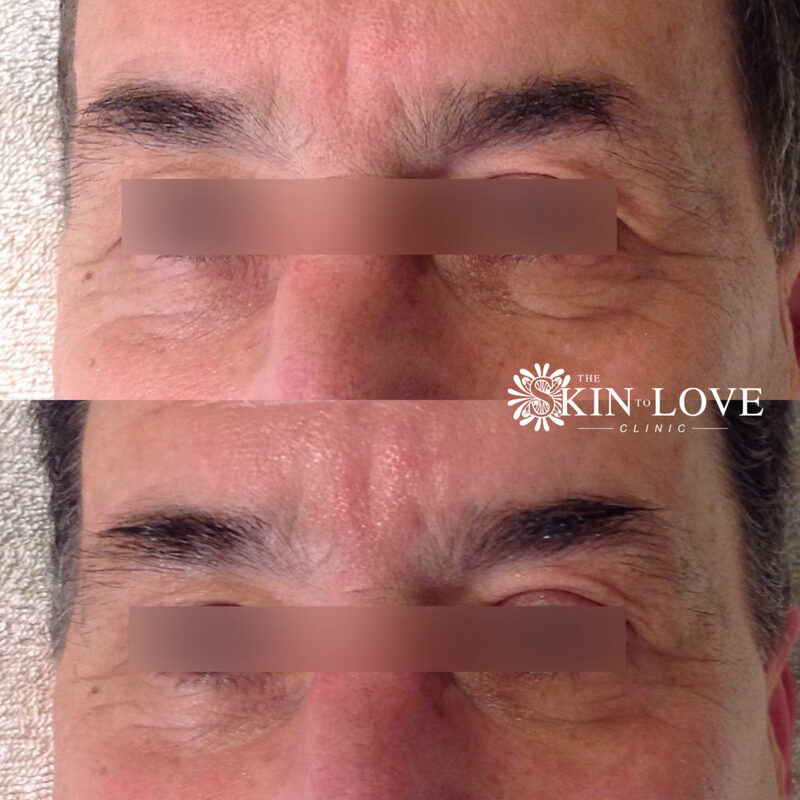 If you are treating scarring, the result from this treatment should not reverse, however the treatment does not halt the ageing process and any remaining scarring may change in appearance as you naturally age. *Disclaimer: We are all individuals, therefore, results from treatments may vary from person to person, because each person responds differently. Results achieved from Byonik treatment will last a different amount of time from person to person, this may even vary between treatments for an individual. Results, down time and recovery following treatment will vary from patient to patient. The information we provide is based on the extensive experience we have gained from treating a wide variety of patients of different ages, genders and is based on an average patient experience.